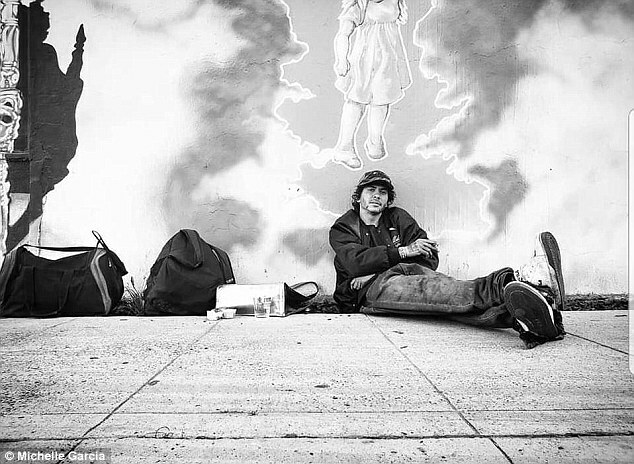 A photographer has shared heartbreaking photos of her drug addict son passed out in the street. 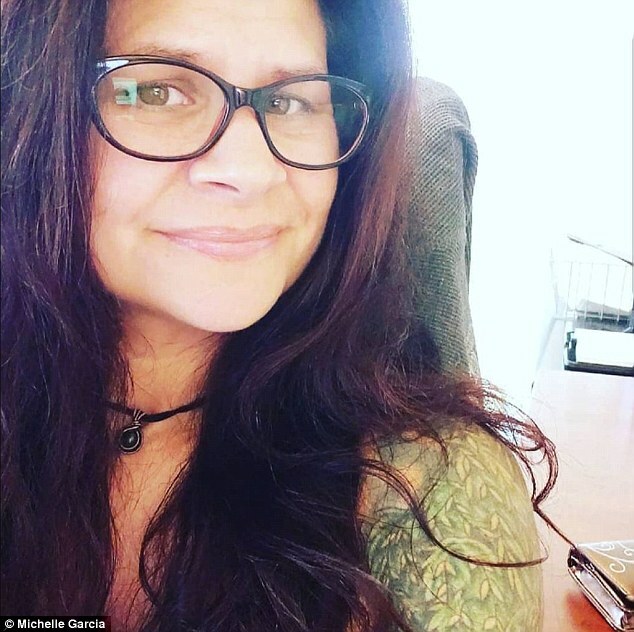 Michelle Garcia said that she shared the shocking images of her son Cali Mike Ayub to show his downward spiral into addiction to highlight the catastrophic effects of drugs. 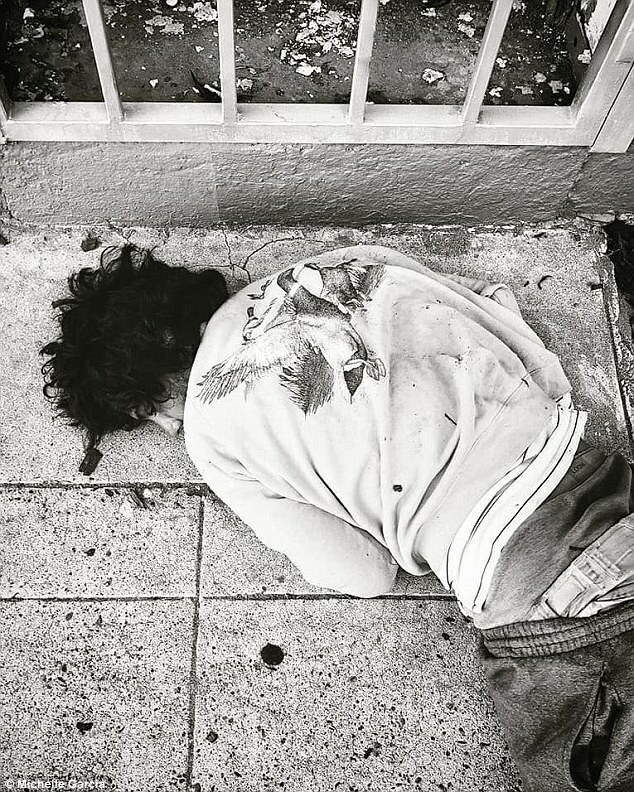 Garcia says that she's agreed to meet her son for a coffee last month but when she arrived at the Fresno coffee shop she found Ayub lying face down on a sidewalk in Fresno, California, wearing a dirty shirt and no shoes. 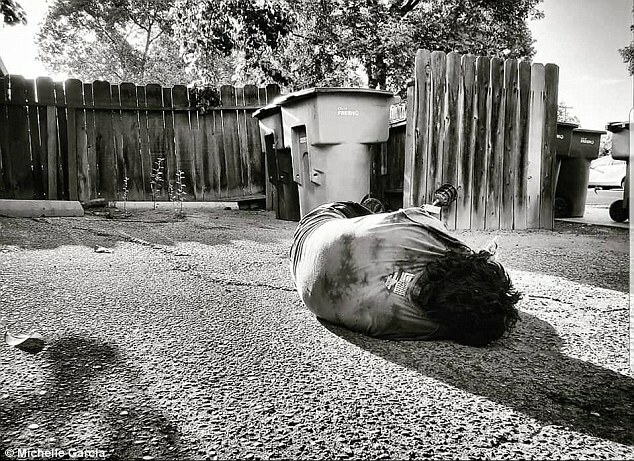 Shocked and saddened, she began snapping photos of her troubled son. 'This has been a huge part of my life for some time now and felt I needed to share,' she said, next to the photos. 'I just saw him this morning. He was waiting for me outside a coffee shop. 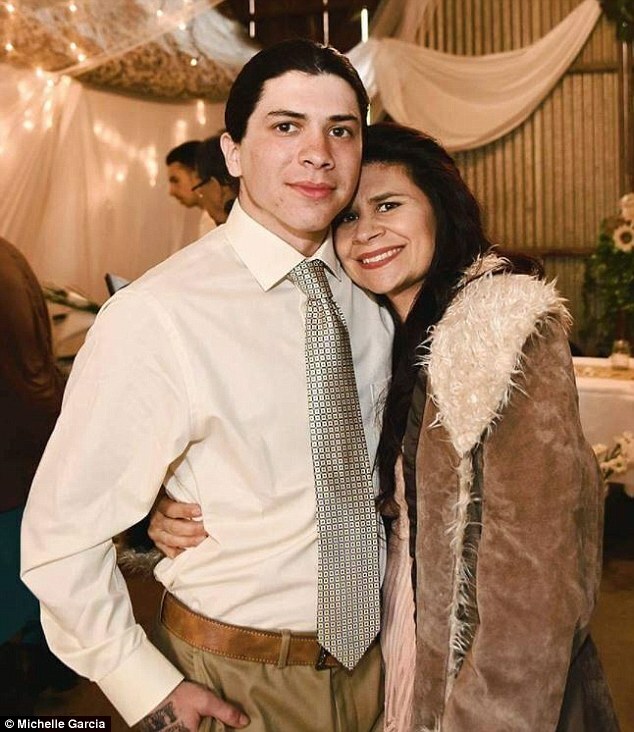 Garcia said her son, who suffers from schizophrenia and bipolar disorder, became addicted to meth and heroin last year. She said her son turned to cocaine after spiraling into depression following a break up with his girlfriend. He did so much cocaine, he burned a hole in his septum, meaning he could no longer snort the drug. That was when he began smoking crack, which led to meth and heroin. 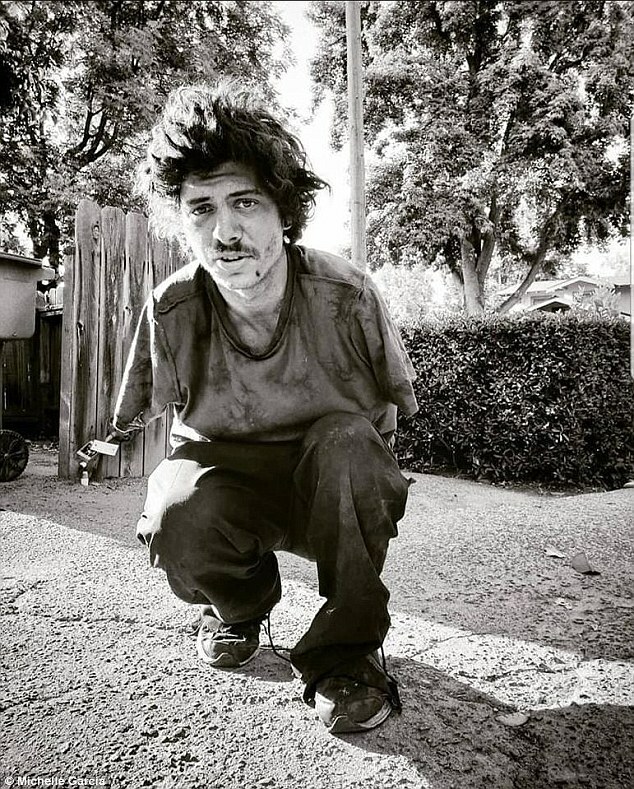 After he starting to use drugs, he was fired from his job at a garbage service, was evicted from his home, and crashed his car. Garcia said that his addiction has also made his underlying mental health issues much worse. She added that she'd taken her son to multiple treatment centers to no avail. 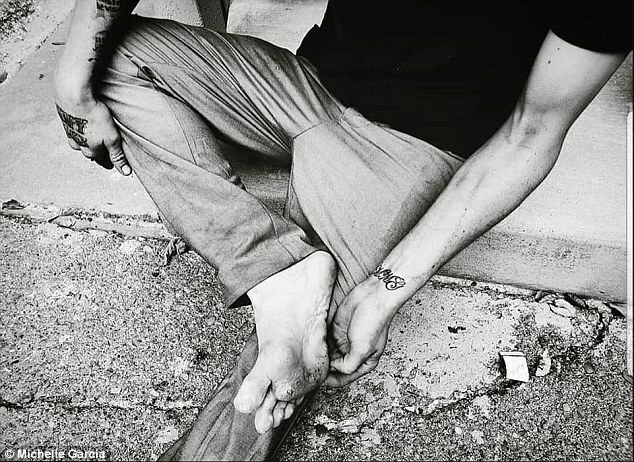 Her son now lives on the streets. 'This is also to bring awareness to the opiate epidemic that is very real and very strong in our city in our children's lives and families lives. It is actually becoming worse every 6 months or so and the outcome is scary. 'Now addicts are faced with tainted drugs that are laced with fentanyl and that is killing people at a rapid rate. Keep your eyes and ears open to communication with your children and the ones you love. Her post has since been shared thousands of times. Garcia still remains hopeful that her son will recover and could look back at the photos of him at rock bottom for a reason to stay clean.